The Image of a Fractured Church (February 24 to July 7, 2017) is an exhibition curated by Armin Siedlecki, PhD. Five hundred years ago, on October 31, 1517, Martin Luther published his Ninety-Five Theses, a series of statements and proposals about the power of indulgences and the nature of repentance, forgiveness and salvation. Originally intended for academic debate, the document quickly gained popularity, garnering praise and condemnation alike, and is generally seen as the beginning of the Protestant Reformation. 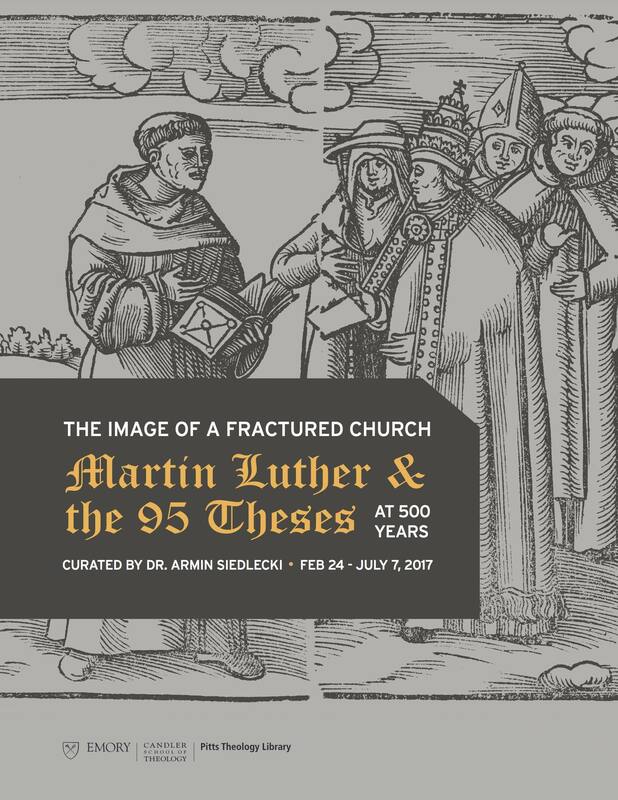 “The Image of a Fractured Church: Martin Luther and the 95 Theses” presents the context of Martin Luther’s Theses, the role of indulgences in sixteenth century religious life and the use of disputations in theological education. Shown also are the early responses to Luther’s Theses by both his supporters and his opponents, the impact of Luther’s Reformation, including depictions of the posting of the Ninety-Five Theses in later Protestant traditions, as well as current attempts by Catholics and Protestants to find common ground.